Touch of the Guinness Blues has an smooth canter, uphill forward trot, lovely walk. 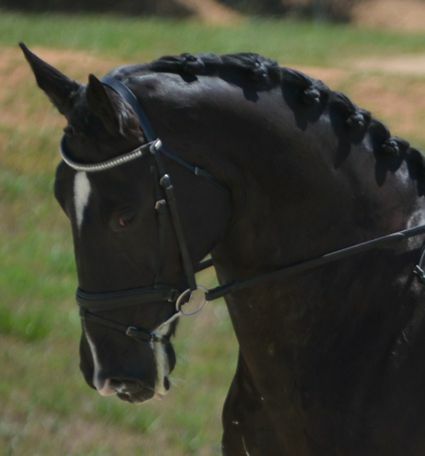 He loves to jump, trail rides by himself or in groups. Never been injured or lame. Ready to go. Touch of the Guinness Blues, by the World famous RID Stallion Touch of the Blues. 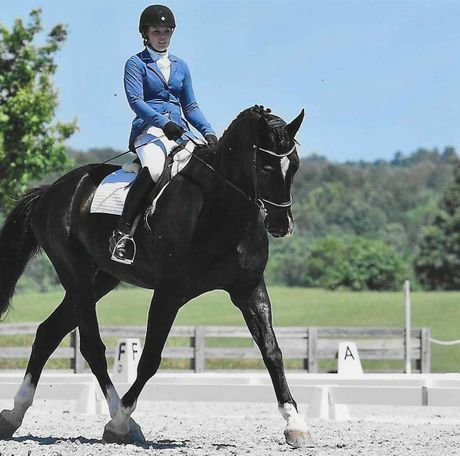 Guinness's Mom, a Hanoverian Mare out of the 'W' Line. Touch of the Guinness Blues won in 2015- USDF "All Breed Awards Training Level". The following year 2016 -Touch of the Guinness Blues again won USDF" All Breed Awards Level 1 " He has been in training since. 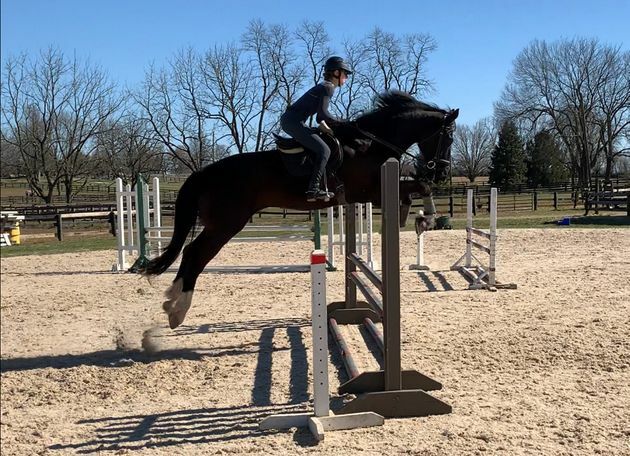 He was originally purchased for a career in Fox Hunting. 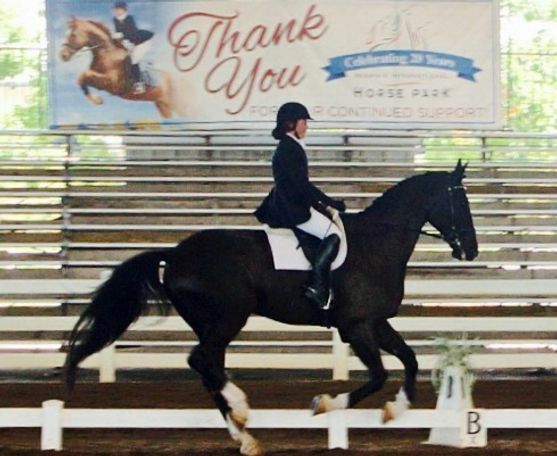 His big forward trot and uphill actions kept him in the Dressage Ring. Touch of the Guinness Blues has a enormous jumping scope. A typical Touch of the Blues genetic ability passed down. 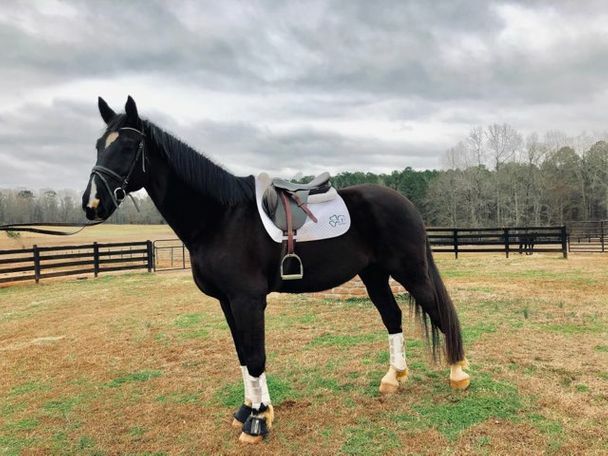 Touch of the Guinness Blues is Black adding in 4 white socks, making him a striking display of what a Big Irish Sport Horse is Suppose to be. His athletic Ability is Amazing. Guinness has just currently passed a PPE, and is currently being worked 3- 4 days a week. Guinness is in fantastic condition with a great mind set. 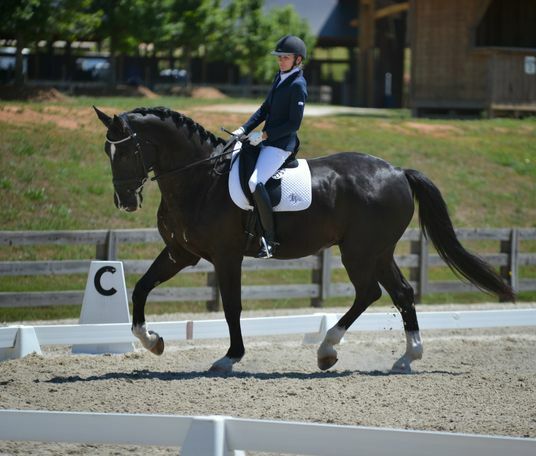 Touch of the Guinness Blues is currently in Lexington, KY with a Hunter Jumper - Dressage Trianer. Going very well.